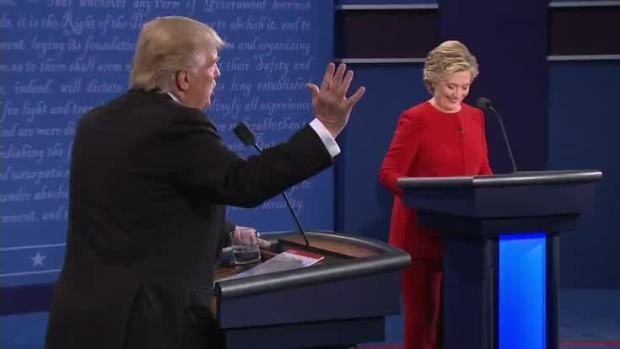 In a combative opening debate, Hillary Clinton emphatically denounced Donald Trump Monday night for keeping his personal tax returns and business dealings secret from voters and peddling a "racist lie" about President Barack Obama. Businessman Trump repeatedly cast Clinton as a "typical politician" as he sought to capitalize on Americans' frustration with Washington. Hillary Clinton discusses cyber security during the first Presidential Debate. 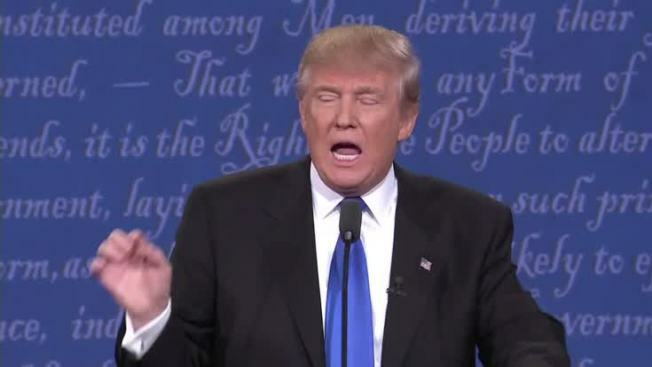 Donald Trump discusses his temperament during the first presidential debate. 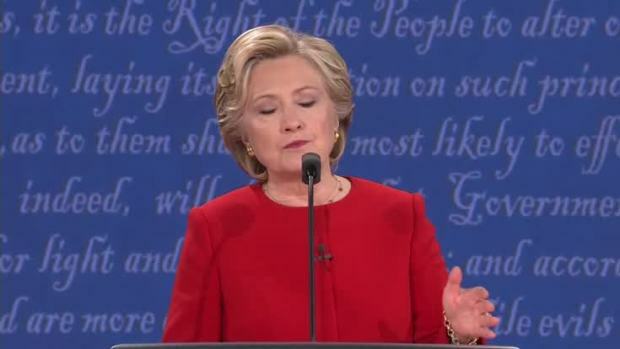 Hillary Clinton criticized Donald Trump for repeatedly claiming that President Obama was not born in America.